Enjoy Cold: Add all ingredients to a mixing glass with ice and shake vigorously. Pour into a rocks glass. 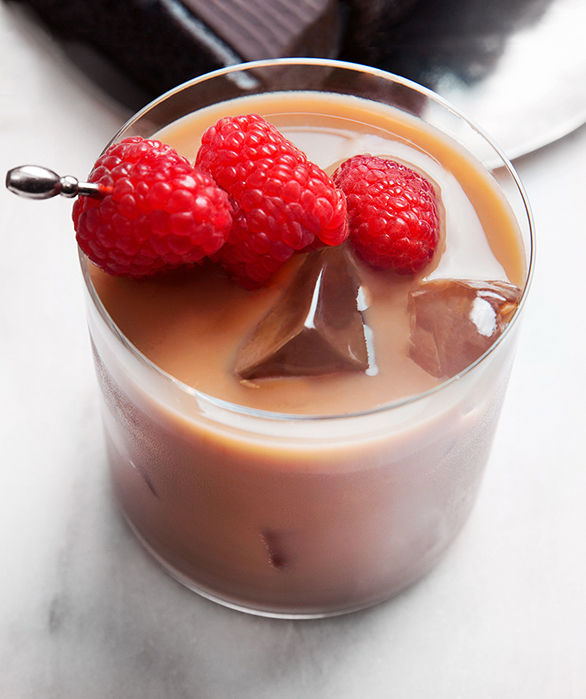 Garnish with raspberries. Enjoy Hot: Heat milk. Add all ingredients to a mug and stir. Garnish with cocoa powder.